The backbone to every great disc golf course and disc golf community is THE CLUB, and strength lies in numbers. Bowen Park Disc Golf Course is a great course thanks to the hard work of individuals. But, we can not take our course for granted. 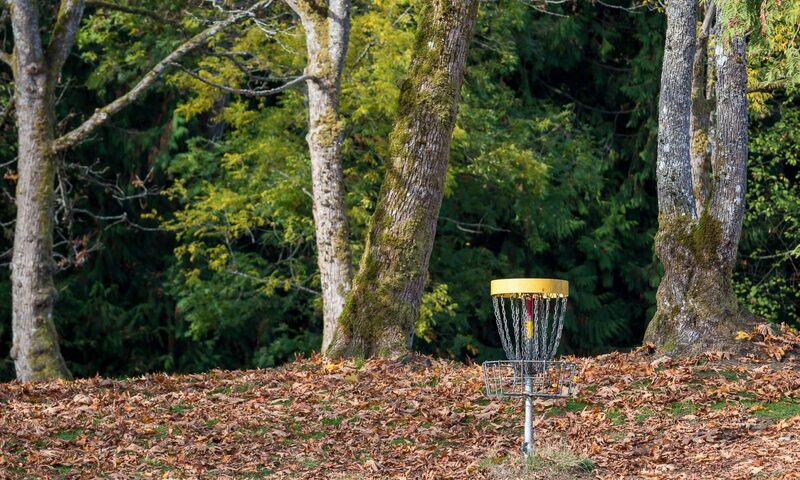 If you are a disc golfer who enjoys playing at Bowen Park join the NDGC. If you want to ensure your course stays in the ground and is respected by the community, join the NDGC. If you would like to meet other area players, engage in friendly competition, and be loosely affiliated with other players like yourself, join the NDGC! Weekly events provide set days for disc golfers to get together for a game, and meet new people that also love the sport. Our hope is to provide something that every level of player can enjoy, and with your support we can make that happen. Come out to an event to join in the fun, and let’s work together to make disc golf awesome on Vancouver Island! The following are the weekly events we host. Be aware that start times change with the season, and some events get shut down temporarily due to light restrictions. To keep up with the latest news and information, come join our Facebook Group. If you’re not a Facebook user, please feel free to drop us a message and we’ll get back to you as quickly as we can. Fees Notice: In an effort to upgrade the baskets at Bowen Park, the club has adjusted the weekly event fees from previous years. While the existing baskets have served us well, we’d like to continue with the ongoing efforts to improve the Bowen Course. Please note that Mens Pro division players are required to pair with an Am player to balance pairing. Start time ranges from 5pm in sping/fall to 6:30pm in summer. Tags always in effect. Ace Pot. In order to be qualified to win the ace pot you have to have shown up (paid into the ace pot) at least 3 times over the course of the Monday blues series. This will run for the next 8 months. An entry fee and ace pot is associated with this event. * This is not a regular event, and there is no set meeting time, but it does happen semi-frequently, and more often in the winter months. Join our Facebook group to get the latest updates! Not seeing an event that works with your schedule? Missing one of our past events and you want it back? We’d be happy to discuss things further, as we’re always on the lookout for people to host events. If you’re interested, please let us know!